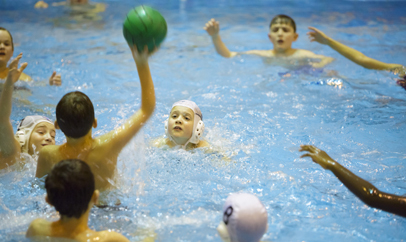 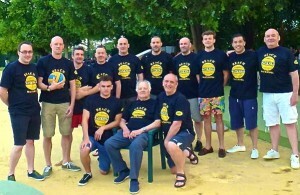 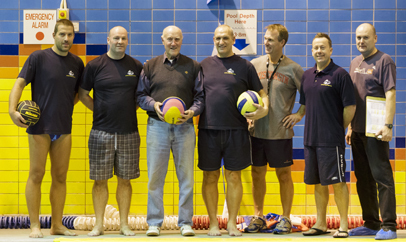 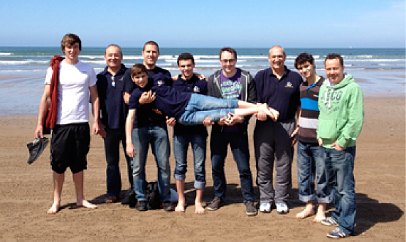 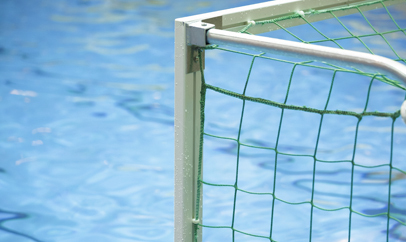 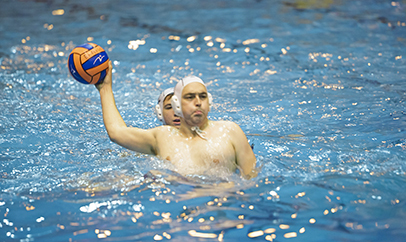 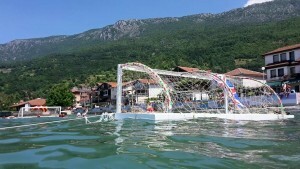 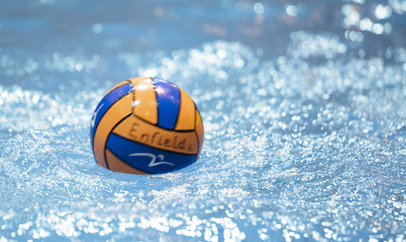 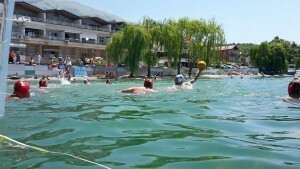 Enfield Water Polo Club have returned from another triumphant tour of Macedonia. 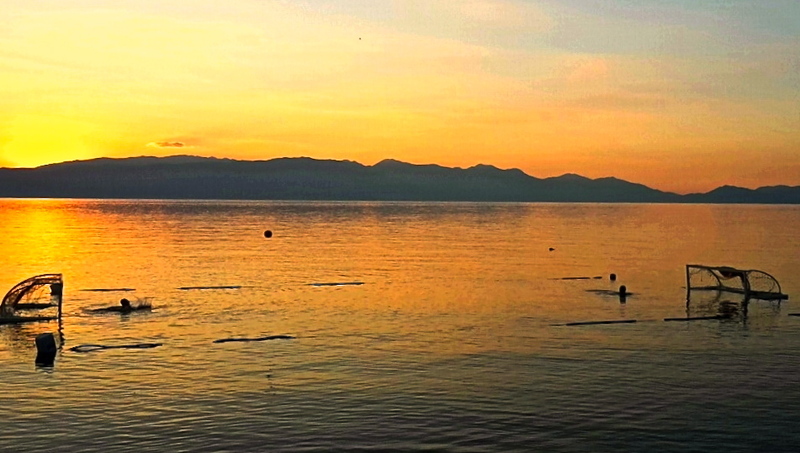 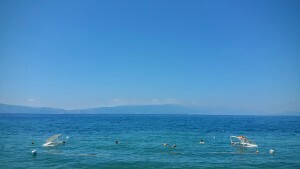 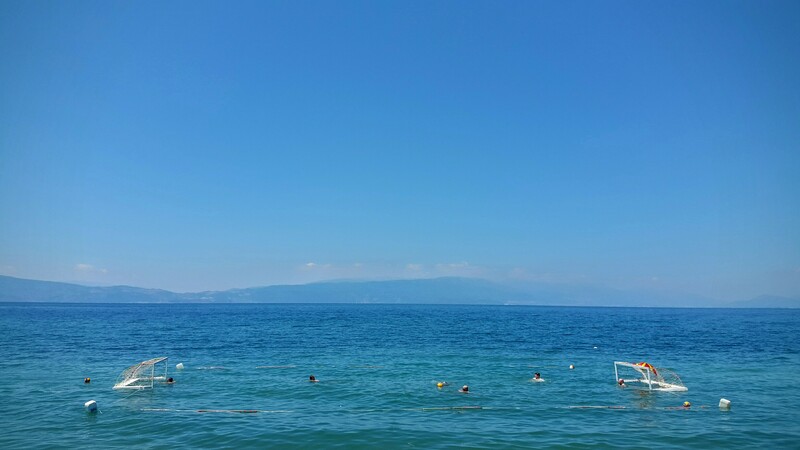 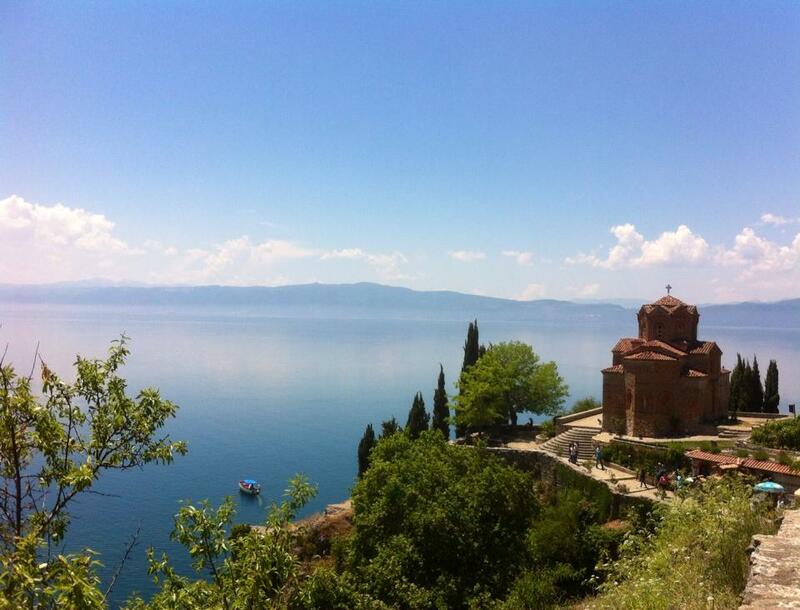 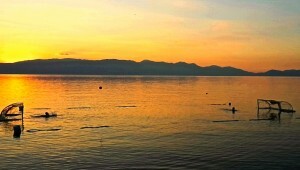 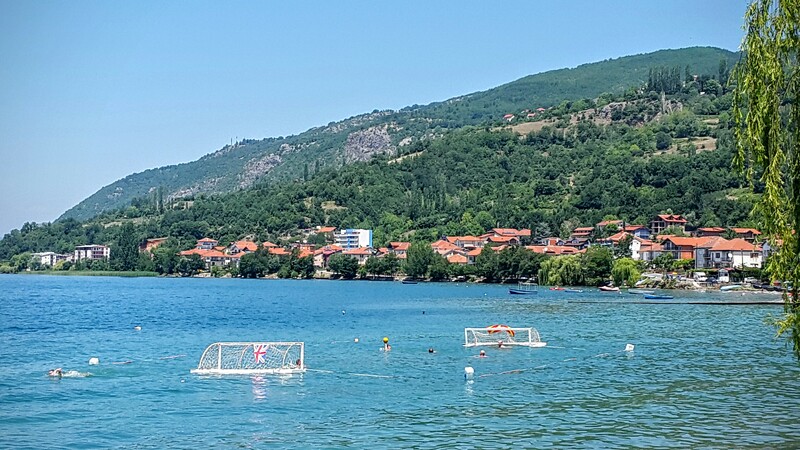 After the success of the 2014 visit, Skopje-based VK Beta/Vardar were again fabulous hosts as they arranged a series of open-air games in the Balkan capital and at the stunning lake resort of Ohrid. 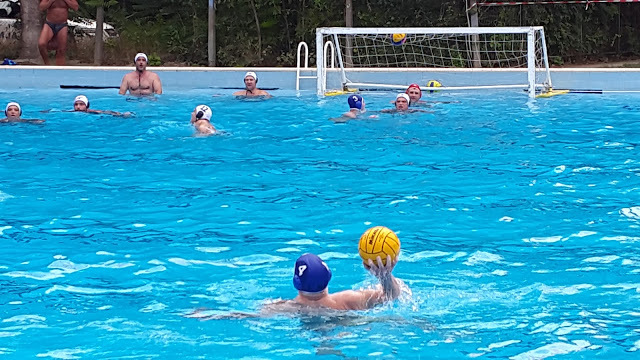 Bulgarian powerhouses Levski Sofia were also in town for the weekend and they defeated Enfield 12-4 in the opening game early on Friday morning, with only Richard Waller, Andy Poore, Rob Lucas and Roy Naisbitt awake enough to find the net for the north Londoners. 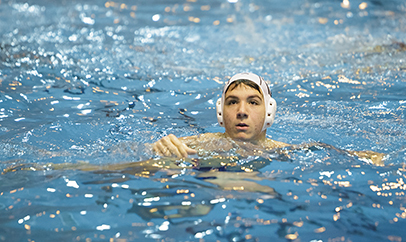 On Friday evening, Team Junior Richard Waller continued his fine scoring form by firing in five in a narrow 13-9 (3-2, 3-3, 3-4, 0-4) loss to VK Beta/Vardar. 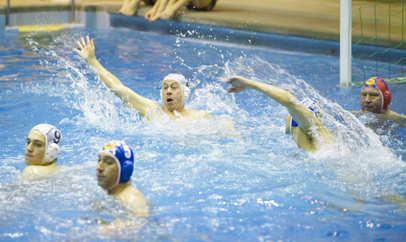 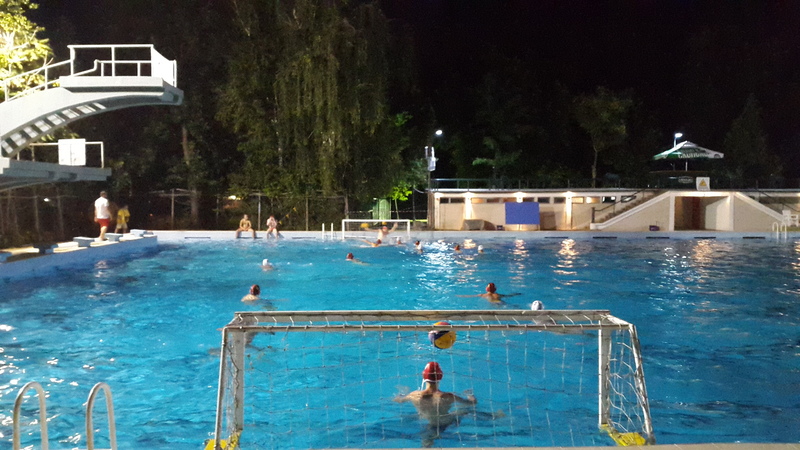 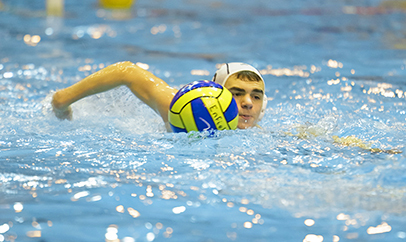 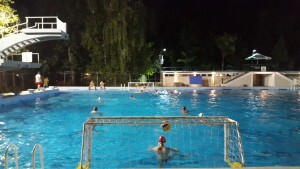 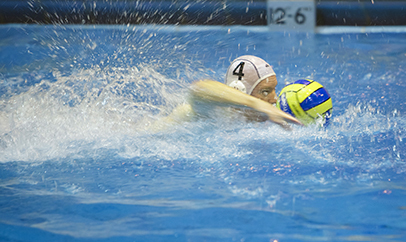 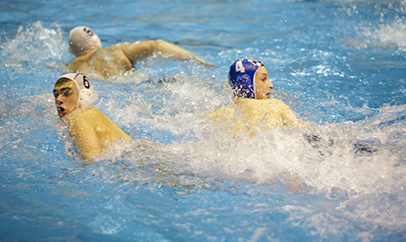 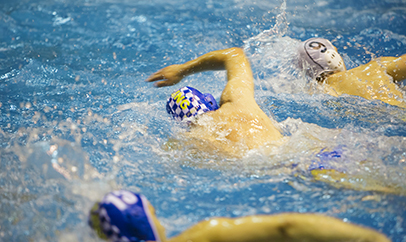 As darkness descended and the floodlights illuminated the pool, Andy Rollé and Lucas combined well to both hit the target twice, but the stronger Macedonians pulled away in the final quarter to seal a close victory. 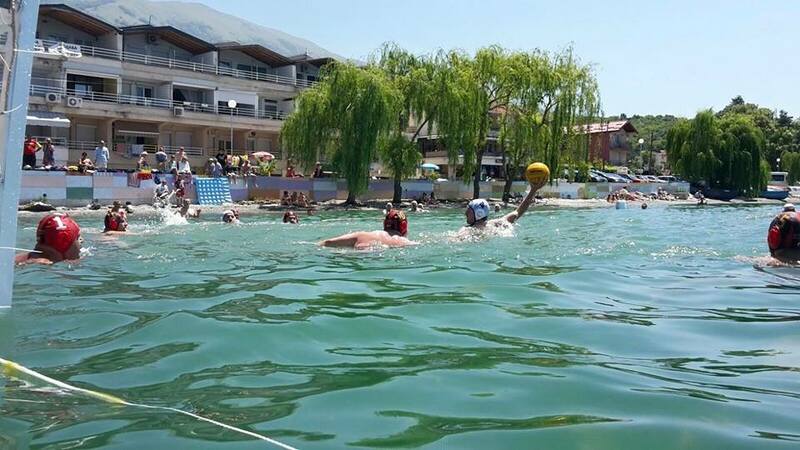 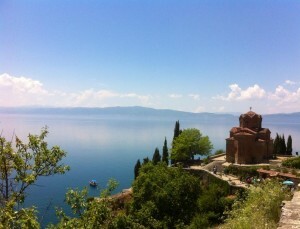 On Saturday, the team coach – expertly driven by club chauffeur Costa – ferried the 13-man squad southwest to the stunning World Heritage and UNESCO site of Ohrid where Enfield were based for the remaining three nights. 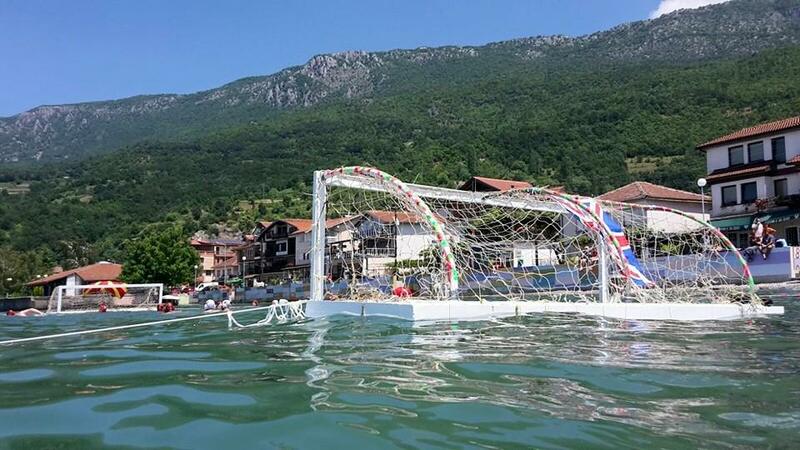 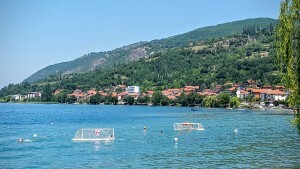 A playing area was set-up in the picturesque lake at Pestani and Enfield again narrowly lost out to VK Beta/Vardar as they battled with their opponents and the seaweed in another tight encounter. 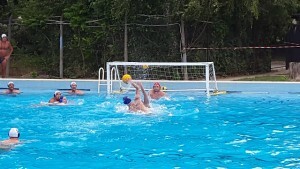 Local veteran side Struga were also invited to compete and there were jubilant scenes as Enfield ran out comfortable 9-4 winners to register their first victory of the trip on Saturday afternoon. 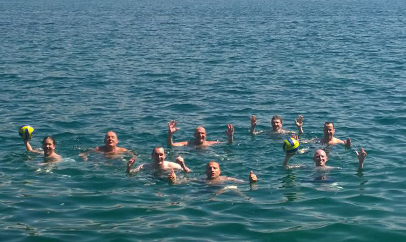 After a spot of sightseeing and a cruise across the lake on Sunday, some light training took place in the lake before a lavish dinner back at the hotel. On Monday, Enfield travelled north to Struga, where 85-year-old Roy Naisbitt scored his third goal in Macedonian waters in a memorable 6-4 win. 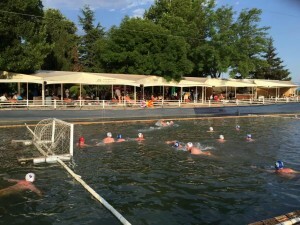 That was the final action of the successful five-day trip as the squad returned to Skopje on Tuesday for their flight back to London Luton. 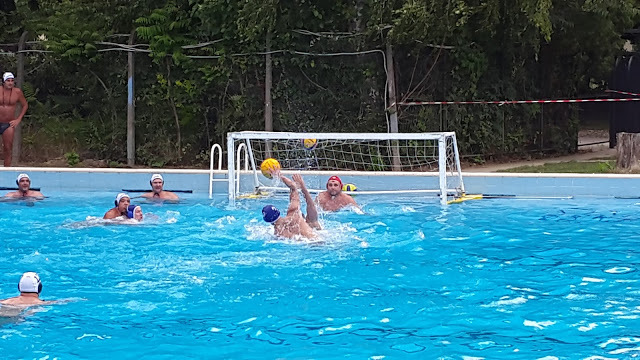 Enfield Water Polo Club would again like to thank their hosts VK Beta/Vardar for organising another incredible tour and also raise a glass to Enfield’s Skopje-born Martin Ilievski for being such an excellent middle man. Enfield’s travelling party in full: Andy Boorman, Andy Rollé, Andy Poore, Rob Threadgold, Rob Lucas, Martin Ilievski, Roy Naisbitt, Martin Waller, Richard Waller, Giles Owen, Tony Matthews, Tom Mendham & Adrian Lo.